The Fourth Week. A Georgia Farmer Once Said "So Goes Atlanta, So Goes the Rest of the State." Last week didn’t deliver the expected buzz surrounding the Transportation Funding Act (TFA), but it did deliver the introduction of two noteworthy bills and dramatic and profound statements about Atlanta from a prominent rural politician. Over the past few weeks we’ve largely seen the Georgia Assembly realize the need for cooperation in funding transportation and diversity in the types of transportation we fund. Last week we got another large dose of that, as well as a strange slap in the face of regional cooperation. This the fourth installment of a weekly segment looking at the bills being introduced in the Georgia Assembly that involve land use, environmental, and transportation issues. Please see the 2015 Legislative Session page for ongoing coverage. 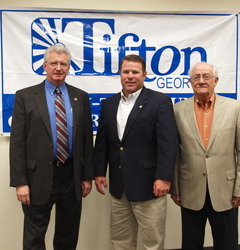 Jay Roberts, the Republican sponsor of the TFA and chairman of the House Transportation Committee, publicly stated the need to invest in alternative forms of transportation and to raise taxes when appropriate. He called out those people who are attempting to derail the economic progress that would come from dramatically improving our transportation systems by refusing to support anything that even looks like a tax increase. While these are just statements from one member of the Assembly, they are quite profound. This state has long suffered from a strict urban-rural divide; those residing outside of metro Atlanta have largely refused to support state funding for anything involving the people or infrastructure of Atlanta. A similar rejection of rural ideals can be found among the residents of metro Atlanta. Looking at the history of the Georgia Assembly’s lack of interest in funding alternative transportation choices or raising taxes for transportation in general (or simply allowing local governments to raise taxes without the Assembly’s approval), two expenses that would overwhelmingly help metro Atlanta, it could be said that the Assembly has long favored rural interests or, at the very least, disfavored investment in urban areas. Certainly there is a rural-urban divide throughout the country simply because of the disparate lifestyles and this usually falls on political lines, but the animosity between the two groups seems heightened here in Georgia. 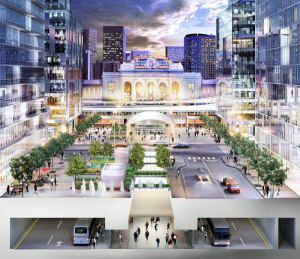 Rural politicians and even suburban politicians have been seemingly fixated on killing projects designed to benefit Atlanta. In Washington State ,where the entire eastern half is staunchly conservative and the entire western half is staunchly liberal, the animosity from easterners towards Seattle is, in my experience, almost non-existent compared to the animosity here in Georgia. People in Washington seem to realize the importance of Seattle. The difference between the states could be for a number of reasons, including race, strong historical and cultural differences, or just simple politics. 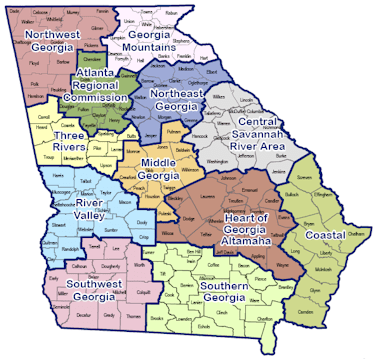 Metro Atlanta accounts for more than half of the state’s population and has the 8th largest GDP of any city in the US. Along with world-class cities like Barcelona, Los Angeles, London, and Sydney, Atlanta has hosted the Olympic games. Looking at how the Georgia Assembly treats Atlanta you would never know that an influential international group thought so much of it that it placed Atlanta alongside the world’s great cities. Is Atlanta still the progressive city that attracted worldwide attention throughout the summer of 1996? Several months ago I was asked by a reporter for the Wall Street Journal if I had any thoughts on how the Olympics have changed Atlanta. I didn’t. Sure I haven’t spent much time thinking about it, but nothing immediately jumps out and screams progress. In all fairness, the Olympics don’t have a great track record of providing lasting economic and infrastructure progress in host cities. Maybe a better question to ask for the purposes of simply assessing the progressiveness of Atlanta is whether the city would be awarded the games today. Sure politics play a large role in awarding the games, but the US Olympic Committee is still going to want to showcase a thriving, desirable, and interesting American city. Have we invested in in this city like it means anything to us? Have we treated it like it drives the state’s economy and provides the greatest concentration of culture in the South? Are we treating Atlanta like it’s still the capital of the South? If we’re not then we shouldn’t expect others to want to come here to live, visit, or invest. Jay Roberts put it simply: “so goes Atlanta, so goes the rest of the state.” It’s significant that, again, this is being said by a rural politician who entered the Georgia Assembly with an intent to divert more state funding from metro Atlanta. His public acknowledgment that people actually want to live in urban areas and want alternative transportation choices is immensely important. It appears that we now have influential state leaders looking around the country and realizing that while other cities are actively funding projects to attract and accommodate growth, Atlanta has fallen behind and the state government is partially responsible. Several months ago I looked at the fact that Atlanta’s solid population growth figures really only occur during strong economic periods. When the economy is failing to produce jobs, people no longer move to Atlanta. They do, however, move to lots of other places. Jay Roberts basically cited this fact when talking about the need to invest in transportation and make people want to live in Atlanta. Georgia has long relied on low taxes to attract jobs and people have certainly followed. But other regions have, instead, invested in infrastructure and projects and now jobs are following. Those projects and infrastructure have attracted both people and jobs, independent of one another. The policies of low taxes and no investment that got Georgia those jobs will soon fail and we’ll no longer be attracting either employers or residents. Well that was the good news. Let’s turn to some interesting new bills and get a new/improved/eliminated cities count. The bills for the City of South Fulton and the City of Payne, HB-165 and SB-11, have not made any progress since last week. HB-329 was introduced to allow the City of Kennesaw to annex a small piece of property near the intersection of Barrett Parkway and Highway 41. Wow. After just discussing the progress made in terms of cooperating on transportation issues, this bill seems strangely out-of-place. Representative Stover would like membership in Georgia’s Regional Commissions to be optional instead of mandatory for cities and counties. I suppose we are cooperating just a little bit too much. Why should we attempt to make land use, transportation, and general planning issues on a regional instead of localized basis? That seems like a waste of time. I mean it’s not like people regularly move between jurisdictions on a daily basis and development projects in one county have an impact on quality-of-life in another county. If those things were true then yeah maybe we should require planning on a regional basis, or, at the very least, make sure jurisdictions are considering the plans, desires, and demands of neighboring jurisdictions. Is this really the type of bureaucracy that needs unraveling? Regional commissions are designed to facilitate cooperation between jurisdictions by providing general regional goals, dialogue, and planning support on many issues including economic development, land use planning, affordable housing, aging services, and disaster-mitigation plans. The commissions can’t be effective in planning if counties and cities can either withdraw from commissions or threaten to withdraw. One important facet of the regional commissions is the mandated sharing of data among the counties and municipalities. This has been a vital tool for local governments and residents in assessing the impact of various projects. Who knows the actual purpose of the legislation. It could be to save counties money since each county does owe annual regional commission dues or it could simply be to make local governments even more autonomous. The latter theory goes along with the general trend of more and more communities demanding to form their own cities to have more control. Regional commission appropriations for each county are based on population, so Fulton County owed just over $700,000 for the 2014 Atlanta Regional Commission budget while Cherokee owed about $225,000. For reference, Fulton County’s Fiscal Year 2014 budget was close to $934 million. If anything, regional commissions need more power. They only play an advisory role in land use decisions and this role is only mandated in certain circumstances. Allowing local governments to voluntarily withdraw from commissions is a step in the wrong direction. The amount owed in annual dues is trivial when compared to the budgets of local governments and the importance of sharing information and working toward larger goals. This bill comes at a strange time when cooperation seems to be gaining ground and the need for greater regional compromise, particularly in terms of transportation, seems to be weighing heavily on the minds of residents, politicians, and business owners. This bill creates a 25-foot buffer along coastal marshlands (meaning no development within 25 feet of a coastal marshland) with some exceptions. This appears to be a pretty significant bill since it adds a completely new buffer to the already existing buffers in the Georgia Erosion and Sedimentation Act. The bill is sponsored by Representative Watson, a Republican from the coastal I-95 corridor and Representative Jackson, a Democrat from Savannah. Another aspect of the Erosion and Sedimentation Act is before the Georgia Supreme Court and the decision could dramatically alter the application of a 25-foot buffer along all state waters. The decision in that case is expected in the coming weeks. More to come on this bill and how it ties into the current Erosion and Sedimentation Act litigation. This is the latest in a series of bills related to the creation of new municipalities. If a city is going to annex unincorporated land this bill requires the residents of that city to approve of the annexation. No longer would only the residents of the land to be annexed have to approve. Both sets of residents would have to approve via referendum and if either fails to approve the issue cannot come to referendum again for 2 years. These referendums could only come after the Georgia Assembly approves the annexation. Note: Click on the bill number for a background discussion of each bill. HB-57: Financing of Solar Energy. Still waiting on the Senate to take up the bill after passing the House. HB-4: Transfer of Water into the Metropolitan North Georgia Water Planning District. This bill is currently in its second read in the Natural Resources and Environment Committee. HB-11: Preventing the Boundaries of New Cities from Creating Islands of Unincorporated Areas. This bill is currently in its second read in the Governmental Affairs Committee. HB-21: Abolish a Population Requirement for the Creation of the Transit Systems. This bill is currently in its second read in the Transportation Committee. HB-116 and SB-36: Prevent the Pumping of Groundwater into the Floridan Aquifer. Both bills are currently in the Transportation Committee of the their respective branches. SB-63: Allow Brewpubs and Breweries to Sell Beer On-premises and To-go. This bill is currently assigned to the Regulated Industries and Utilities Committee. HB-174: Urban Redevelopment Law. This bill is currently in its second read in the Transportation Committee. Please see the 2015 Legislative Session page for ongoing coverage of the legislative session. Disclaimer: The information contained in sustainableatlantaga.com (hereinafter “this site”) should not be construed, or relied upon, as legal advice. By accessing this site it is understood that no attorney-client privilege has been formed between you and the publisher. This site is neither an advertisement for legal services nor an invitation to form an attorney-client relationship. This site should not be used as a substitute for competent legal advice from a licensed professional attorney in your state.